Talk Back Episode 151 - Take a bow, they're cheering you! This week on Talk Back hosts Justin Gay and Eric Nesbit discuss the chances that Lebron James will get knocked out of the first round of the playoffs, the rising Pelicans and what they'll do with Boogie Cousins, the underperforming Blazers and Thunder, and the excitement in Philly over the Sixers trusting their way into round two. In the second half of the show it's a final look into what could happen on NFL draft night, and the changing crowd reaction to Kyle Busch in NASCAR. 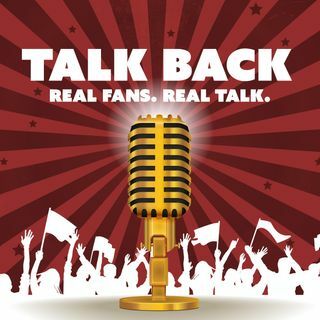 Check ... See More out @TalkBackFanTalk on Twitter and Instagram to interact with the show all week long, thanks for listening!